US equities closed somewhat weak, sp -3pts @ 2048 (intra low 2040). The two leaders - Trans/R2K, settled lower by -0.3% and -1.1% respectively. 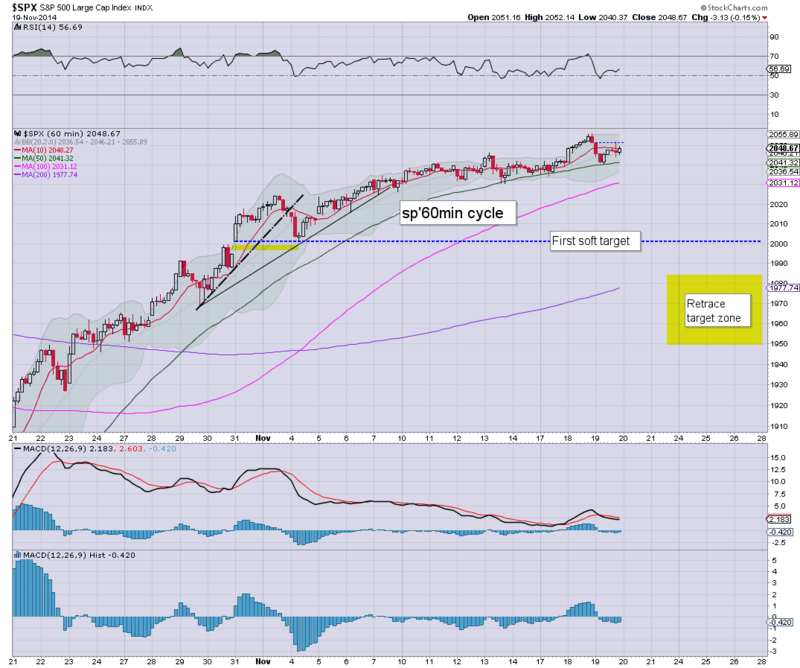 Near term outlook is for a retrace into next week, first soft target is the 2000 threshold. Interesting day in market land.. with moderate morning weakness... a natural bounce into early afternoon, but then another wave lower in the late afternoon. VIX remains low though.. barely able to scrap a minor gain today in the low 14s. So far.. Mr Market is showing no real concern... utterly complacent... but then.. everything is 'fine'.. yes? *daily wrap at 8pm EST. Price structure on the smaller 15/60min equity cycles is a rather clear baby bull flag.. and offers weakness into the close... with a key break of the daily 10MA of sp'2040/39. First soft target is the low from Nov'4th.. around the giant sp'2000 threshold. There are a fair few reasons why sp'2000 should be tested in any retrace... should equate to at least VIX 16/17s. updates into the close... especially if we break the morning low of sp'2040. Momo stocks are having real problems... TWTR, NFLX.. both -3%... nothing positive there at all. 3.16pm.. Watching Santelli yelling at the Liesman... kinda funny... but still... tiresome. Just getting a broader market decline of -0.5%... so damn difficult. VIX showing near zero concern... flat lining.... +2% @14.20s. 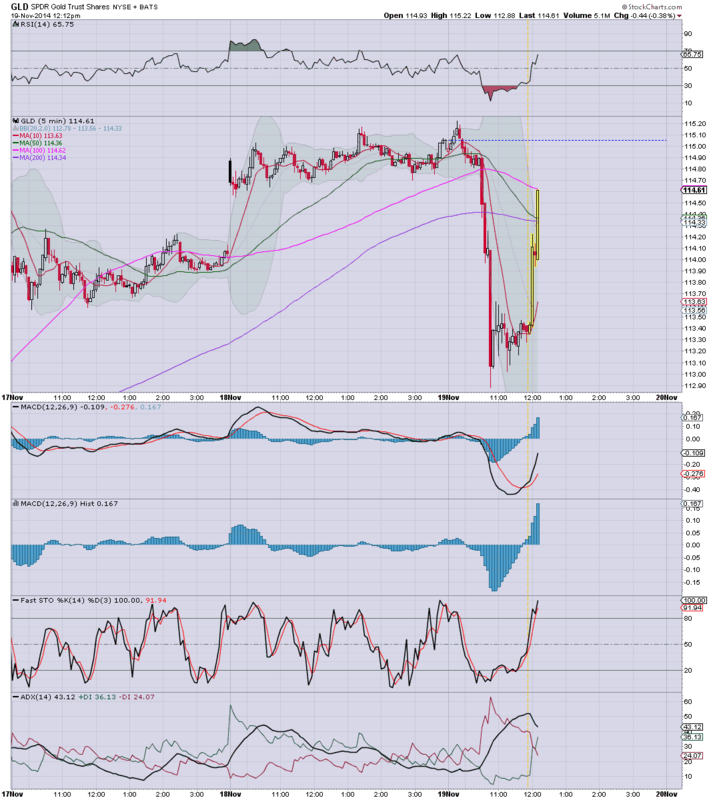 notable weakness.. Metals... Gold -$14... FOUR attempts today to break positive... and failed to hold. 3.37pm... Market really teasing the bears..... still no clear break. 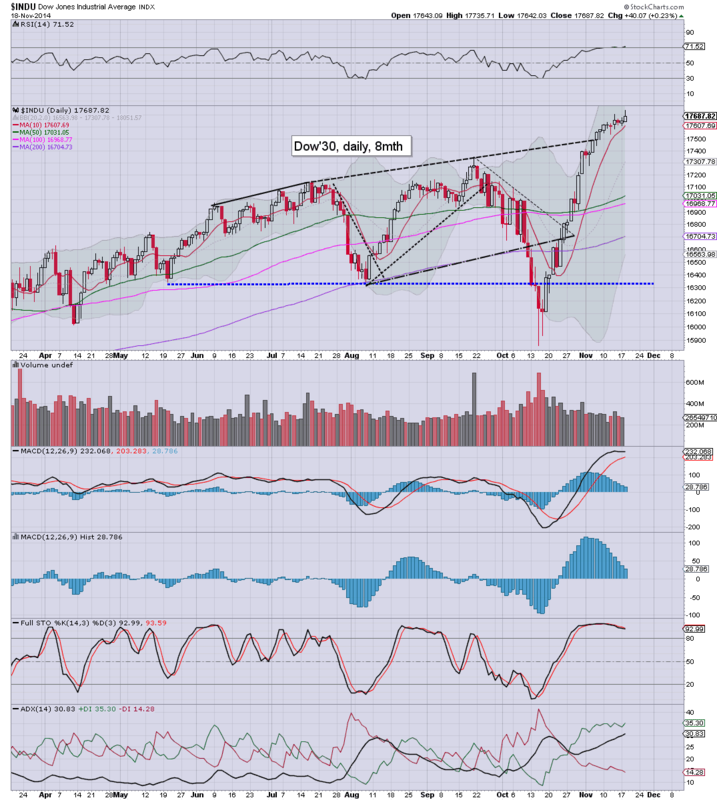 The Trans/R2K remain notably weak. Gold bugs been through the washing machine today.... +3.. -22. +3... -13 +2... .. back to -$15. ......... more on the metals... on my other page... after the close! 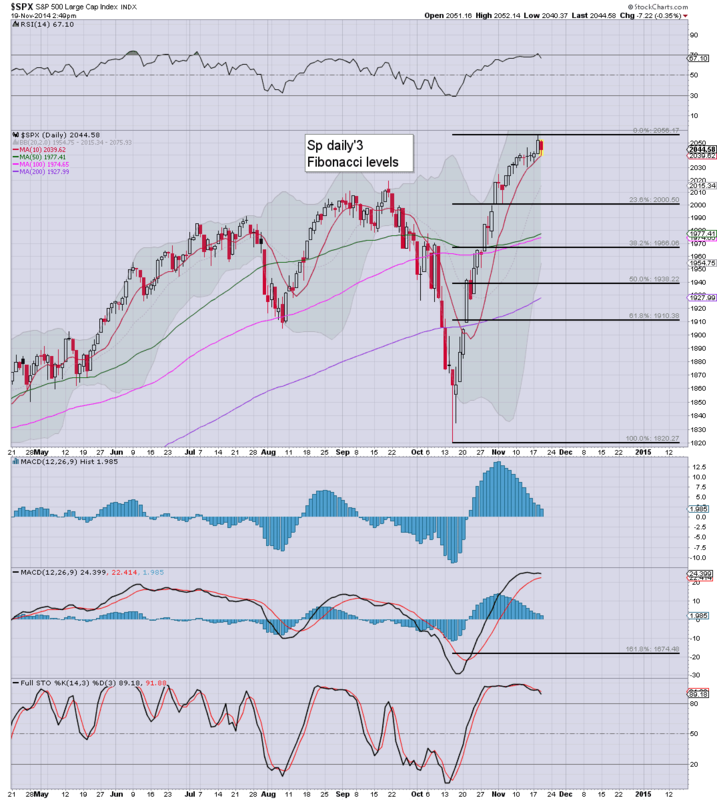 3.48pm.. Depressingly.. no daily close viable on the sp'500.. under the 10MA. Oh well.. maybe tomorrow. *there is a truck load of econ-data tomorrow.... along with 2 fed officials on the loose. Suffice to say... the algo-bots will be ready to snap prices one way or another... real soon. Considering the bigger daily cycles.. especially those of the Trans/R2K, I am seeking renewed weakness into the close. A daily close <2039 would make things much more clearer. Notable weakness, TWTR -2.3%... unable to hold the $40 threshold... looks set for broader declines to around $30... regardless of how strong the market might be into year end. 2.04pm... Twitchy market... USD slips a touch lower.... metals bounce... but still look overall weak. ... watching the cheer leaders on clown finance TV talk about how many times word X or Y was mentioned...... utterly embaressing.... and of course... pathetic. 2.21pm.. Gold back to flat.... still very twitchy though. First downside target is a daily close under the 10MA of sp'2040/39. 2.25pm.. baby bear flag on the smaller 5/15min index cycles being confirmed... weakness into the close... anything <2037 would be a bonus to the bears. 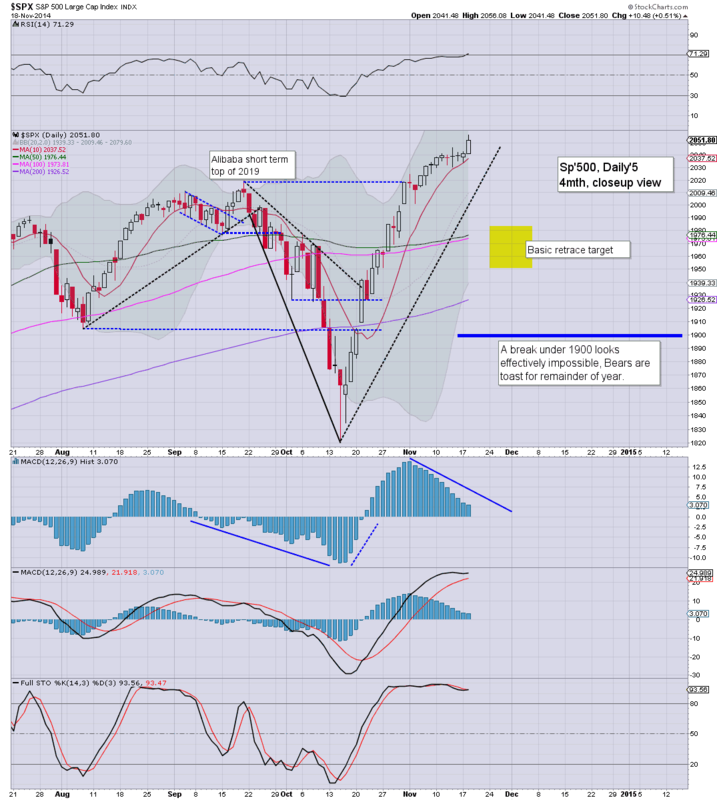 US equities are weak, with the sp'500 teasingly close to breaking the daily 10MA @ 2039/40. Metals remain sharply lower, having snapped earlier, Gold -$17, price structure is a large bear flag.. the bigger target of $1000 remains very probable. *action in the metals/miners remains very volatile. Price structure for both is arguably a large bear flag... with much lower levels still due. If the USD can climb into 89/90s... then Gold will break well under <$1100 before year end. So... we've hit sp'2040... but a daily close <2038/37 would make things a lot clearer for the remainder of this week.. and most of next. A retrace is well overdue, as even the most permabullish would accept. Crazy swings.. if it can break positive again.. that'd be a real surprise. 12.17pm.... and Gold turns positive.. Someone got hold of the FOMC minutes already, is that it? 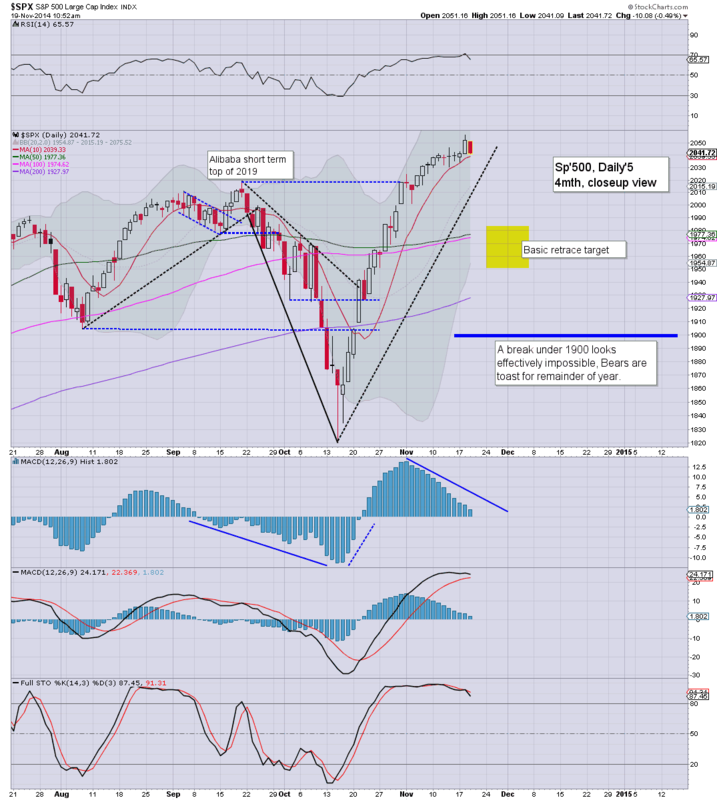 US equities look weak, with the important daily 10MA of sp'2039 set to be broken today. Precious metals have snapped sharply lower, Gold -$18. Oil is turning negative after inventories come in 'overly high'. 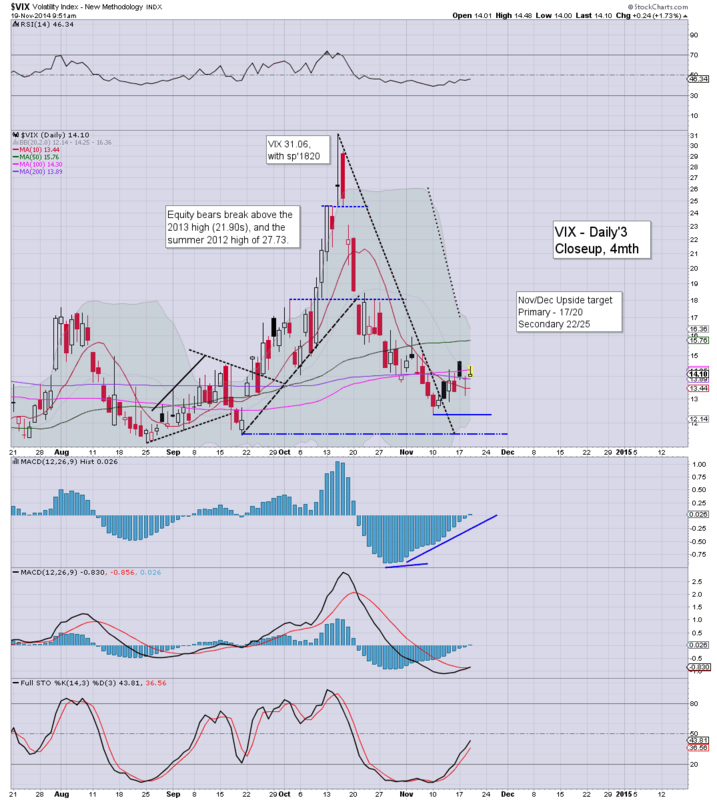 *VIX looks set for the 16/17s in the near term. Finally.. the tedious price action of the past few weeks looks like it is coming to an end. The sp'500.. and even the Dow, look set to follow the Trans/R2K, which have been warning of trouble for the last 4-5 days. 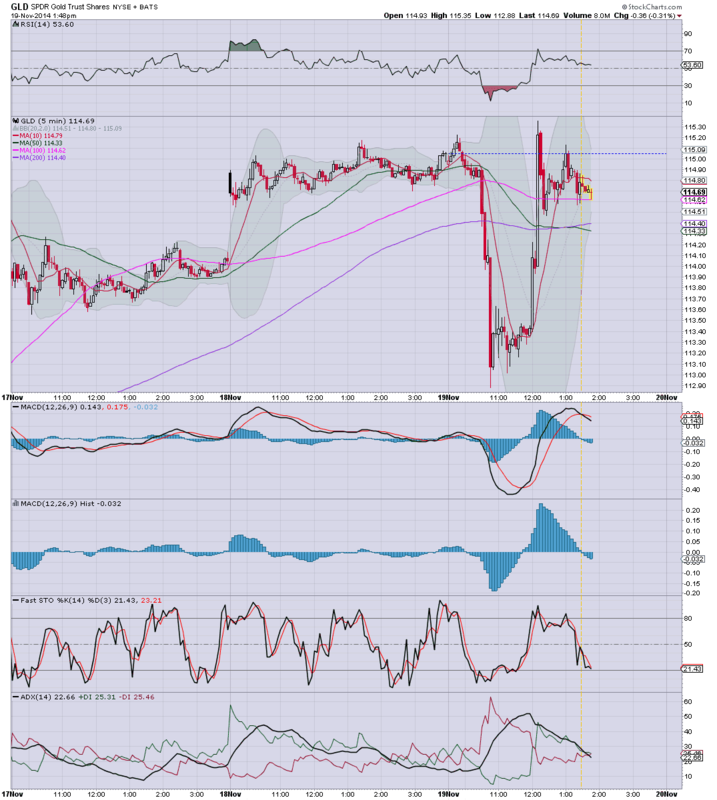 11.01am.. R2K getting the smack down... -1.6%.... looking ugly. US equities open a little lower, but clearly.. its nothing for the equity bears to get excited about. 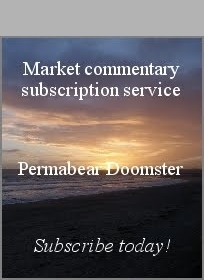 Mr Market is likely to remain in a holding pattern ahead of the FOMC minutes (2pm). Metals are moderately mixed, whilst energy is on the rise, Oil +0.5%. *VIX turns positive MACD cycle for the first time since Oct'20th. Near term upside to 16/17. First target for the equity bears should be a daily close under the 10MA.. sp'2039/40... that is certainly viable today... and would backup what the Trans/R2K have been warning about for the last 4-5 days. Notable weakness, FCX -1% in the $27s.... next support are the $25s. 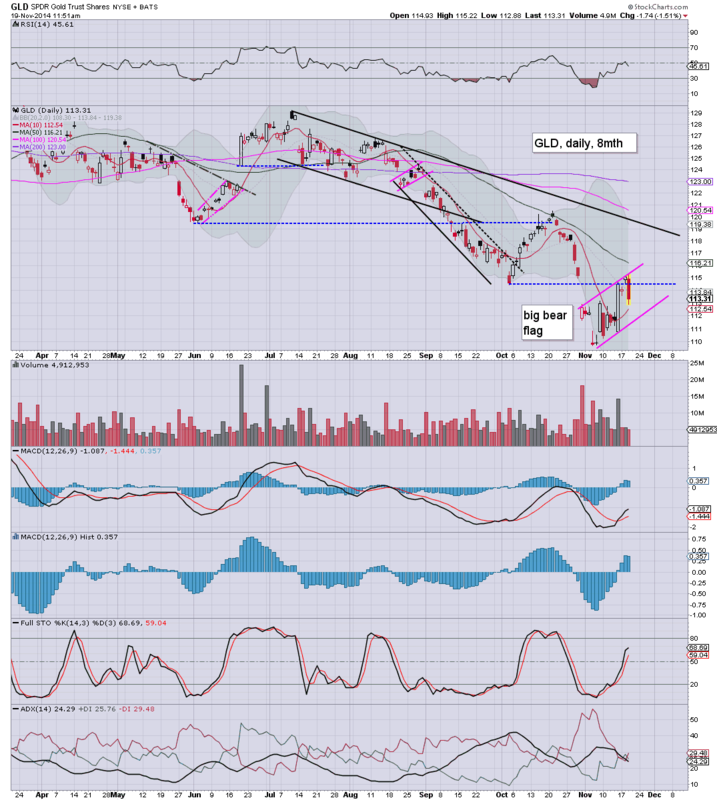 Anyone bearish on Copper... should be looking for a key floor for FCX around $20 in spring 2015. 10.34am.. With the daily index cycles now marginally bearish... and a positive VIX cycle... finally... after 25 trading days UP... things are getting a little interesting. Regardless... awaiting the FOMC minutes. *metals snap lower.. Gold -$10.... miners following... GDX -3.5% JDST +12%... offering a clear turn. Good morning. Futures are moderately lower, sp -4pts, we're set to open at 2047. Metals are a little higher, Gold +$2. Energy prices are bouncing, Nat' gas +3.8%, whilst Oil +1.0%. Equity bears need an initial break of the daily 10MA of sp'2037. *key issue today... the FOMC minutes @ 2pm. In any case... equity bears should be desperate for a break back under the daily 10MA... currently sp'2037. Early mover, TSLA -3.1%... 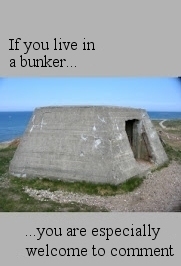 I've no idea why though. The hyper-ramp from Oct'15th continues, with the sp' now having gained 235pts (12.9%) across 25 trading days. There remains moderate threat of a retrace, but at best.. sp'1980/50 zone, regardless.. broader upside into the 2130/50 zone. Unquestionably... tedious... and for those still attempting to short the indexes, this is worse case scenario. An effective 13% ramp across 25 days, with new historic highs in the Dow, Trans, and sp'500. The Nasdaq Comp' has managed post 2009 highs, and is now around 430pts shy of the tech bubble peak (5132, March 2009). Only the R2K and NYSE Comp' are yet to break new highs, and the weekly/monthly cycles are very bullish into early next year. Housing starts, and the EIA oil report. However, the main aspect tomorrow will be the latest FOMC minutes, due 2pm. Mr Market might use it as excuse to break lower.. but current price action offers little hope of such a move. *warning... Tom Lee is in this video.. may induce nausea or sporadic zombie-rage. I shall end the day with something that clown finance TV covered today, the tenth anniversary of the Gold ETF... GLD. 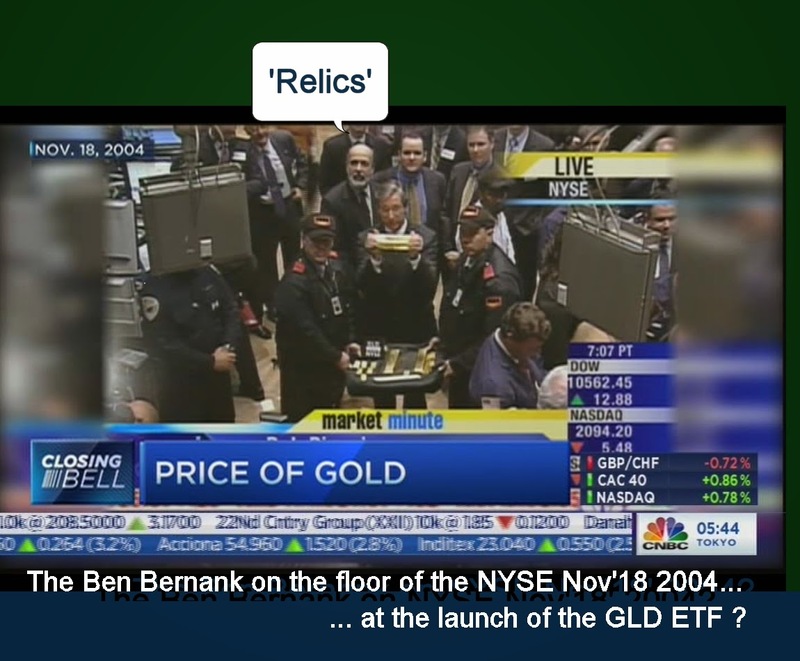 Seriously... back in Nov'2004, is that the Bernank... behind Pisani and the relics?